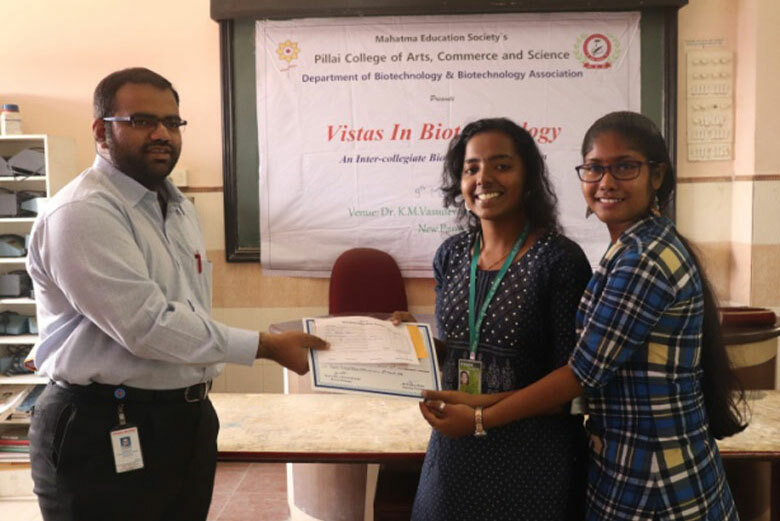 Biotechnology Association in association with Department of Biotechnology organized a poster making competition - "Vistas in Biotechnology" on 9th March 2019, Saturday. Students from F.Y., S.Y. and M.Sc. - I participated in the event. 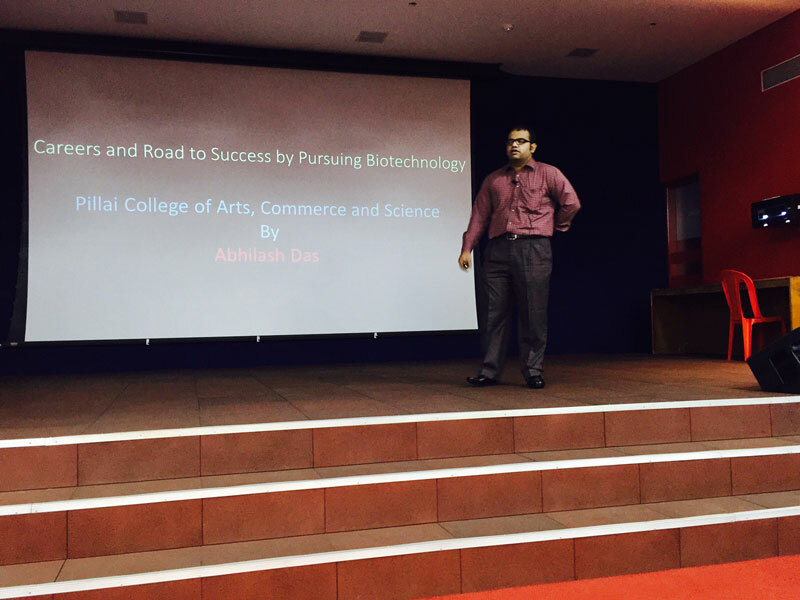 The event began by 10 am and the judge for the event was Mr. Abhilash Das, Field Application Specialist - Biopharma, Spinco Biotech Pvt. Ltd. 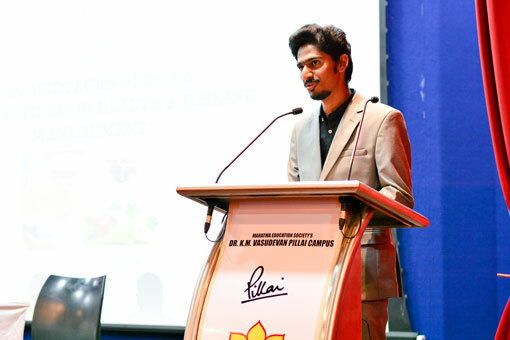 He is an alumnus of the department of Biotechnology. Posters on diverse topics were put up and students were given 7 minutes to explain their topic and three minutes to answer questions put forth by the judge. 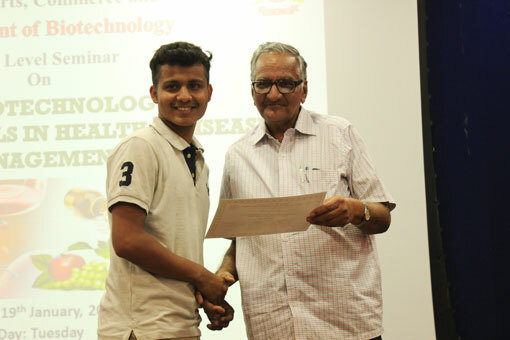 Mr. Abhilash Das presenting certificate and cash prize to the winners of poster making competition - "Vistas in Biotechnology"
The posters were judged and the results were announced soon. 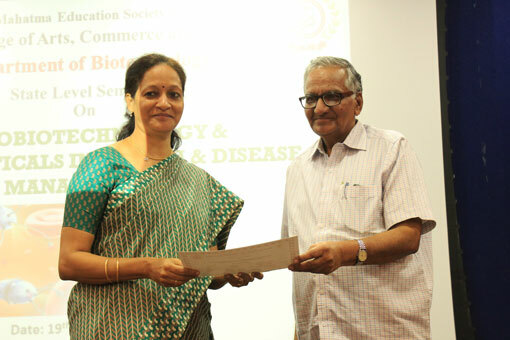 The first prize was awarded to Tanushri Rakshaskar and Rakshita Shetty from M. Sc. 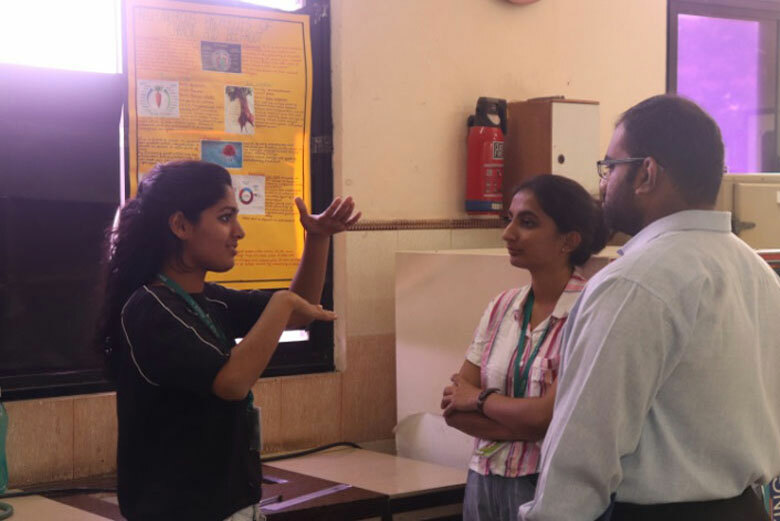 Part 1 for their poster "Anti-cancerous properties of carrot & beetroot" and the second prize was awarded to the Akhila Nair and Aditi Raju from F.Y. B.Sc. for their poster "Poly-cystic Ovarian Syndrome". Both the winners were given a cash prize and a certificate. Mr. Abhilash gave personal comments and suggestions to all the participants to improve their poster making skills. The event was a great success and students got an opportunity to learn many new things. 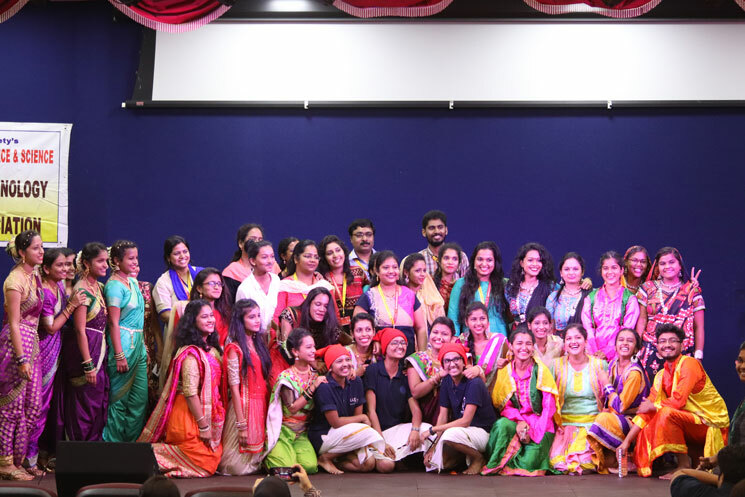 The first and the very most stupendous event “Folk Dance” held by the Biotechnology Association of Pillai College of Arts, Commerce and Science stood as the kick-start for the academic year 2018-19. 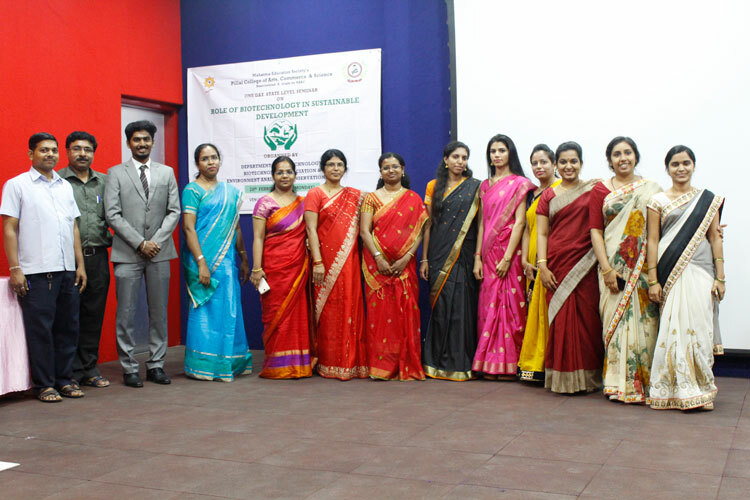 The event was organized on 27th July, 2018 from 11:30 onwards in the Auditorium of Pillai College of Arts, Commerce and Science. 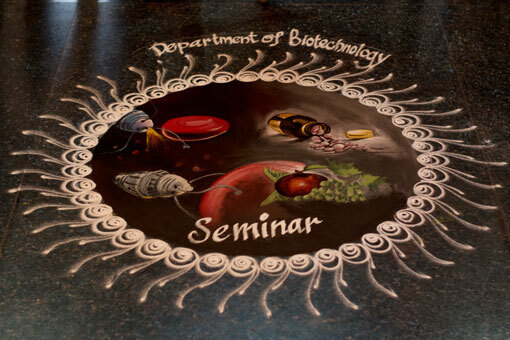 With the arrival of neoteric – fresher’s, Biotechnology department had a very rejuvenating day full of thrill and enthusiasm. 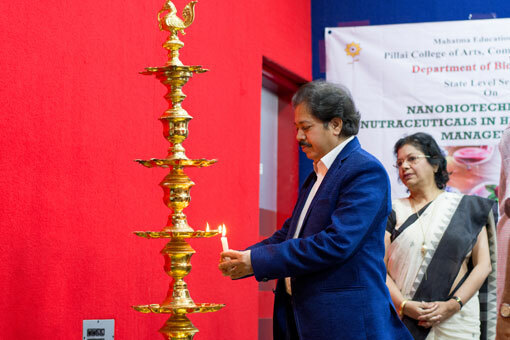 Inauguration of the event was done in the presence of all the respected teachers and coordinators of the Biotechnology Department by lightening the eternal diya. 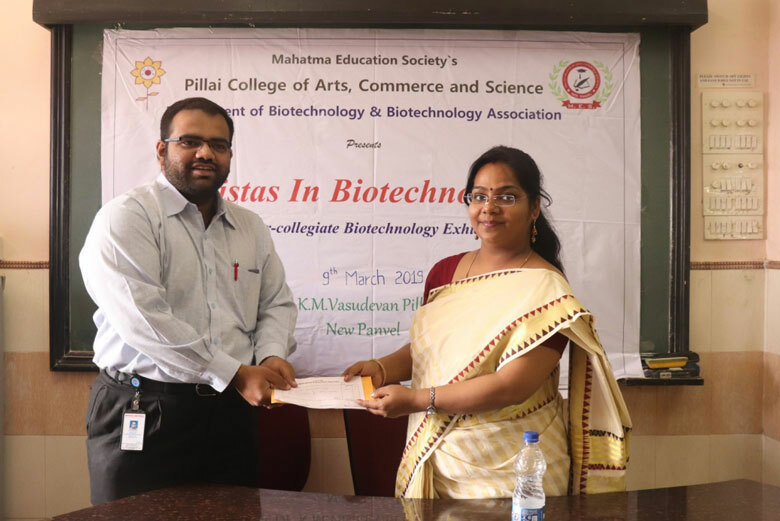 The Teacher In-charge of Biotechnology Association, Ms. Meenakshi Johri conveyed the purpose of the Association to the fresher’s and request them to participate in the forthcoming events with enthusiasm. She also introduced the student In-charges from all the classes who would be handling the events of the Biotechnology Association. 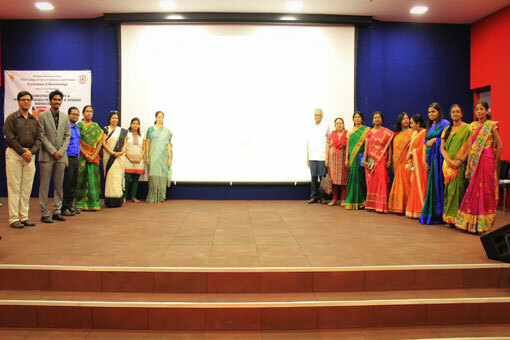 The guest of honour and the judge for the event was Ms. Ramya S. Kumar, who has mastered folk dance. The other judge for the event was the alumni and the staff of the department Miss. Ashwathy Gangadharan, who is a classical dancer with 16 years of experience. Being hosted by T.Y.B.Sc. student Miss. Kanimalar and S.Y.B.Sc. student Pristo Paul, the show got its perfect catalyst to increase the crowd’s avidity. 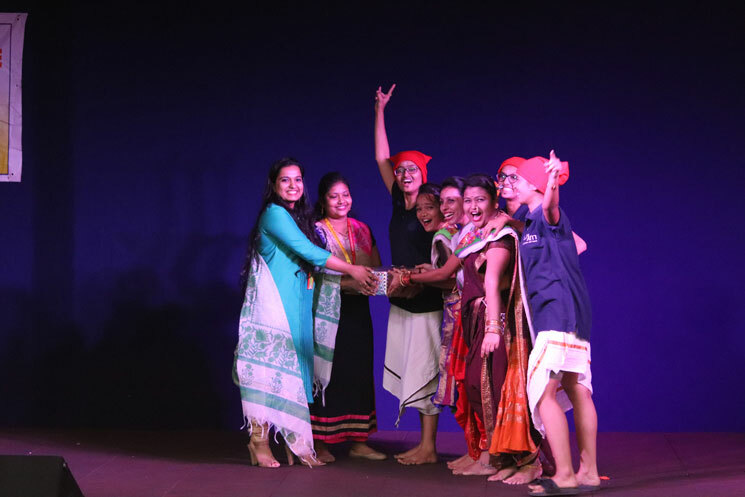 Variant types of folk dances such as Rajasthani, Koli, Bhangra, Lavani and Garba were performed by the students of S.Y.B.Sc., T.Y.B.Sc. and M.Sc.Biotechnology. Each region has its own uniqueness and style which was amazingly depicted by all the participants. 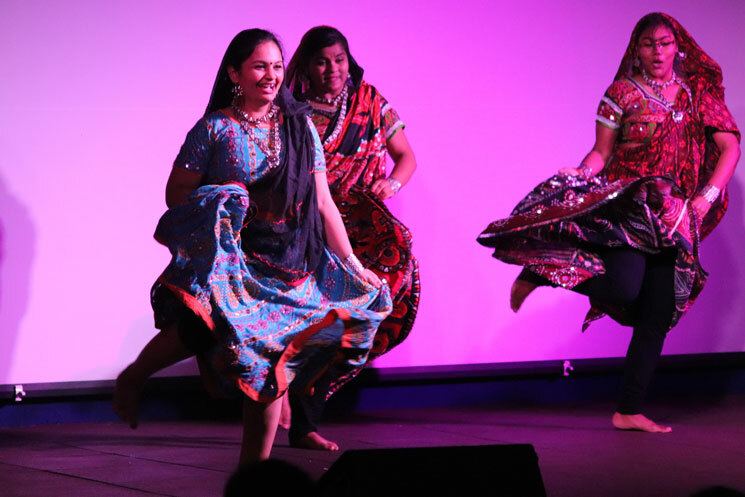 Within the short span of time, students gave their all to make this event look vibrant and alluring. 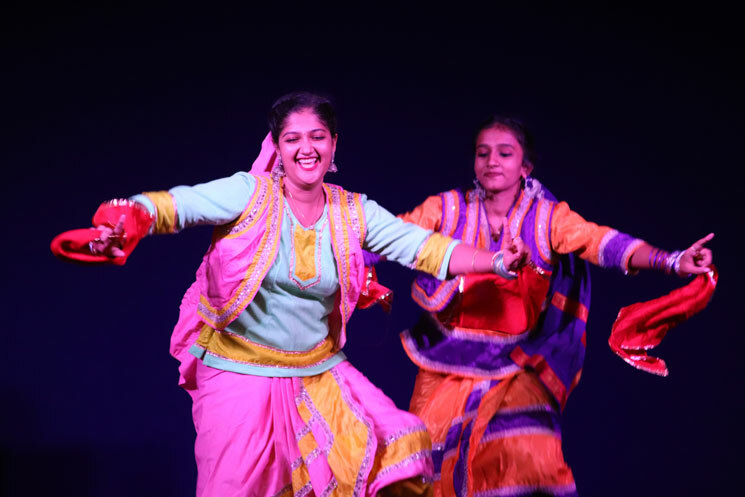 Maharashtra’s Koli dance bagged first prize followed by the Punjab’s Bhangra, which won as the runner-up for the event. The show came to an end with the promising vibe of keeping the energy constant for the rest of the year and concluded with a group photo of all the participants and the teachers. 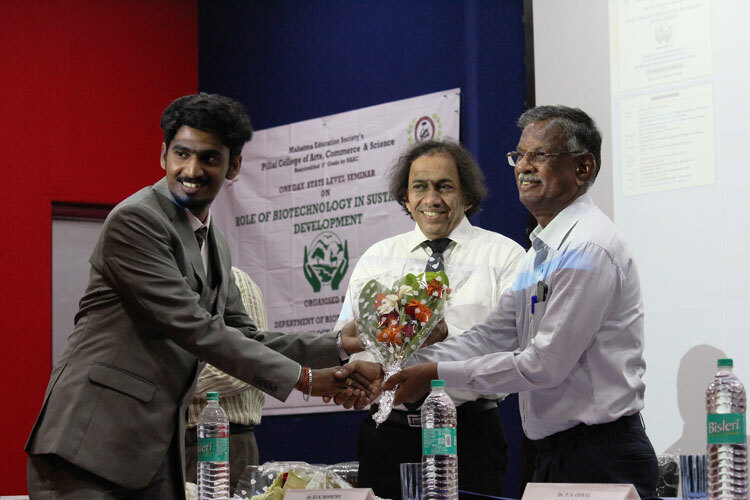 A One day State Level Seminar on ‘Role of Biotechnology in Sustainable Development’ was organized by the Department of Biotechnology in association with, Biotechnology Association and Environment Analysis and Conservation team at Pillai College of Arts, Commerce and Science (PCACS), New Panvel, on 20th February, 2017 (Monday). 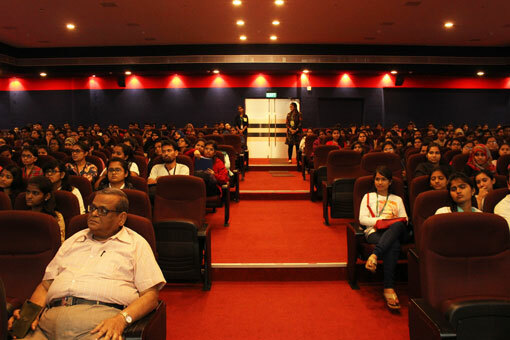 Two hundred participants comprising students and faculty members from different colleges including PCACS participated in the seminar. The distinguished guests formally inaugurated the event at 9.30 a.m. by lighting the lamp. Dr. R.I.K. 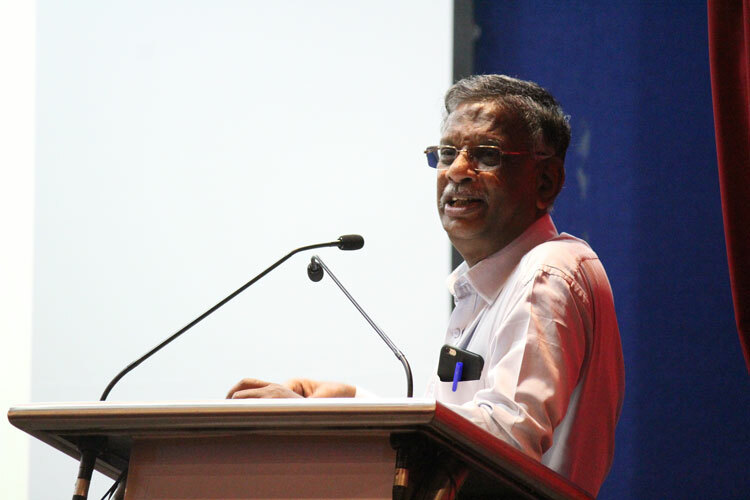 Moorthy, Principal of Pillai College of Engineering welcomed the gathering. 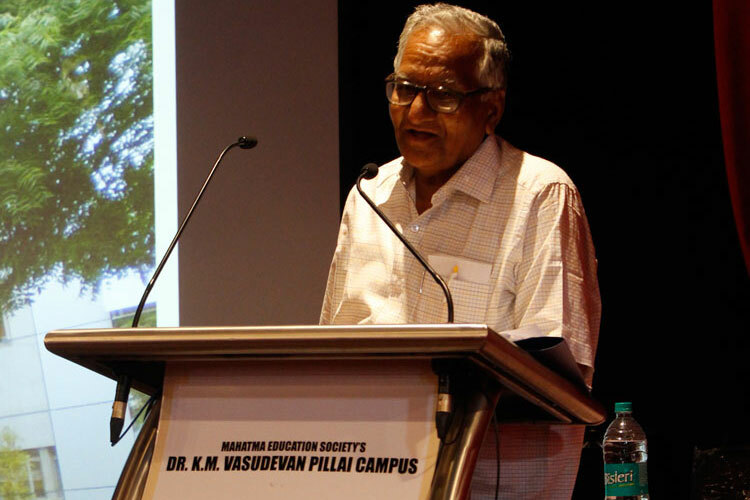 Opening remarks were given by Prof. Gopakumar Pillai, Convener of the Seminar. 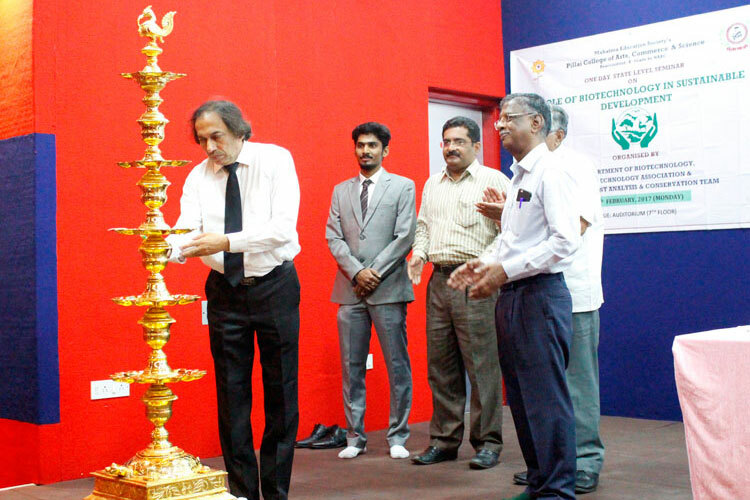 Chief Guest, Dr. Siddhivinayak Barve, Director – Scientific Research Centre, KET’S V.G. 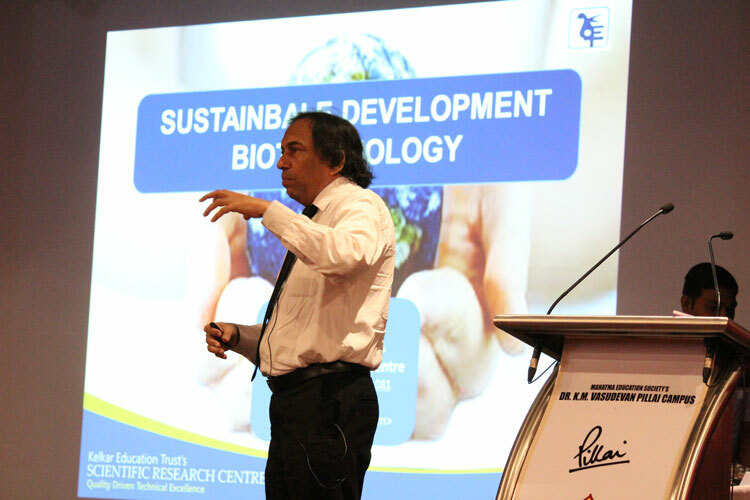 Vaze College, Mulund delivered the keynote address on “Sustainable Development Biotechnology”. In his converse, the explained the current environmental issues that the world is facing and how Biotechnology can help solving these issues directing the nation towards Sustainable Development’. His lecture was very interesting, informative and motivating. The technical session on sustainable energy and agriculture started at 11.15 a.m. by Dr. Sandeep Joshi, Associate Professor, Mechanical Engineering, PCE, New Panvel. He delivered the lecture on “Biofuel - Alternate Engine fuel”. He described the potential of biofuels like ethanol and biodiesel as an alternative fuel which can address issues of greenhouse gases, emissions and help in climate change mitigation. 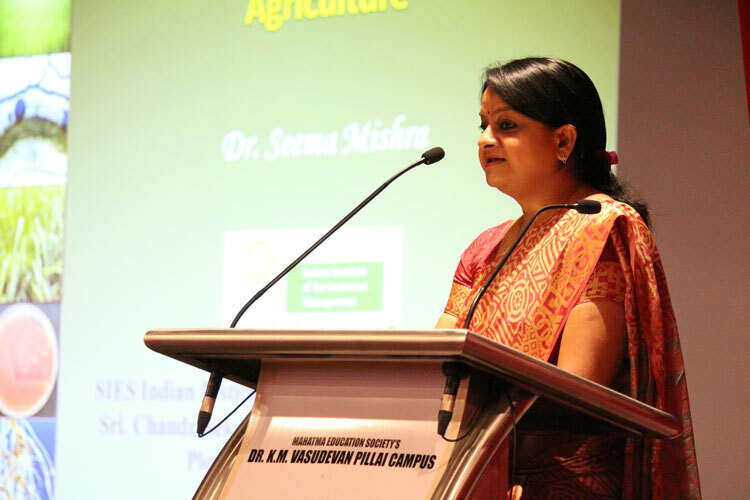 The second speaker of the session Dr. Seema Mishra, Director – SIES Indian Institute of Environment Management, Nerul gave the lecture on “Biotechnology in Sustainable Agriculture”. In her talk, she discussed on the development of various biofertilizers and soil fertility improvement strategies to develop effective agriculture. The technical session on Bioenergy and Biodiversity began at 2.15 p.m. following lunch. 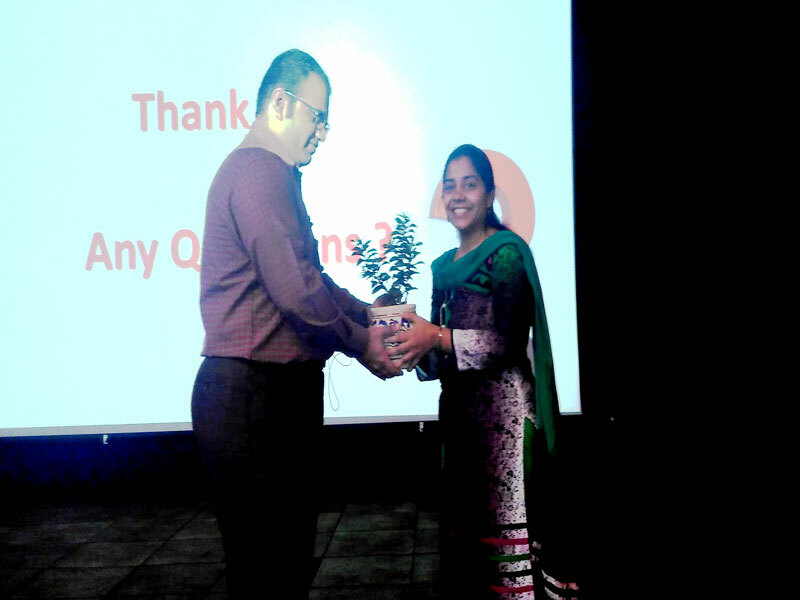 The session commenced with the lecture of Dr. Shubhalaxmi Vaylure, Founder and CEO, Ladybird Environmental Consultancy LLP, Kharghar. 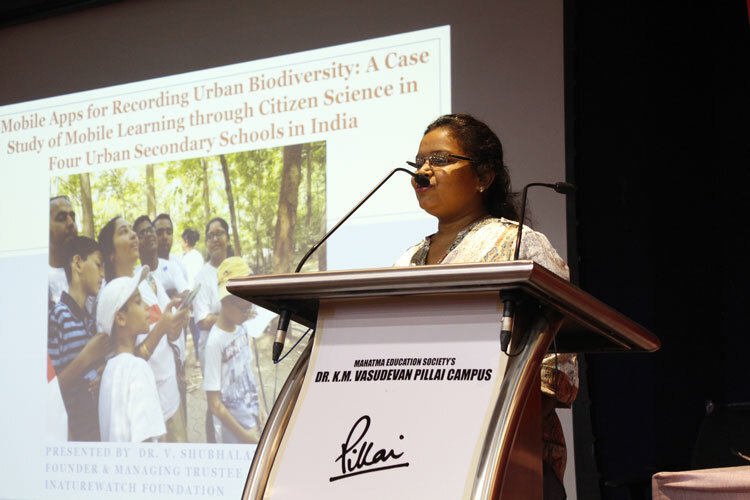 She gave a lecture on “Mobile Applications for recording Urban Biodiversity”. The lecture covered the issues related to usage of the iNaturewatch Mobile apps for climate change studies, engaging students outdoors for environmental studies, and the potential of students as citizen scientists in urban settings. 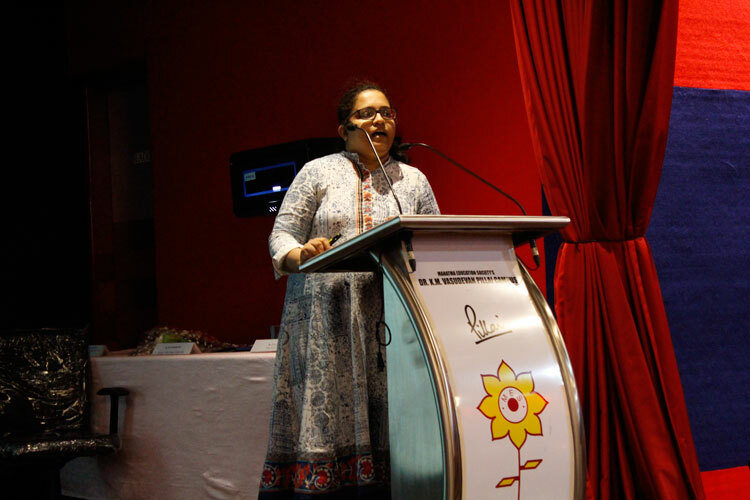 The second speaker for session on Bioenergy was Dr. Annamma Anil Odaneth, Assistant Professor of biochemistry form DBT-ICT Centre for Energy Biosciences, ICT, Matunga. 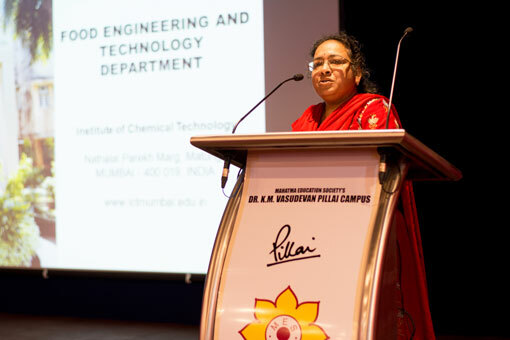 Her lecture was on “Bioenergy production on sustainable development”. She discussed on biomass resources for bioenergy generation and the technologies used for the same, logistics of biomass collection and storage, its impact on biomass resources, economic development and overall dynamics. 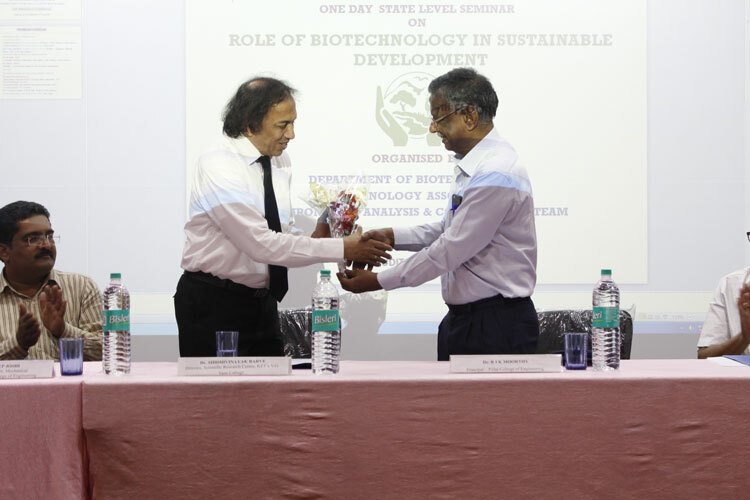 The Valedictory session was held at 4.30 p.m. where, Dr. P. S. Goyal, Dean – R & D, PCE gave the concluding remarks emphasizing on the potential of Biotechnology in developing an effective healthcare. The seminar ended with distribution of certificates by Dr. Annamma and Dr. P. S. Goyal followed by Vote of thanks by the Convener, Prof. Gopakumar Pillai. 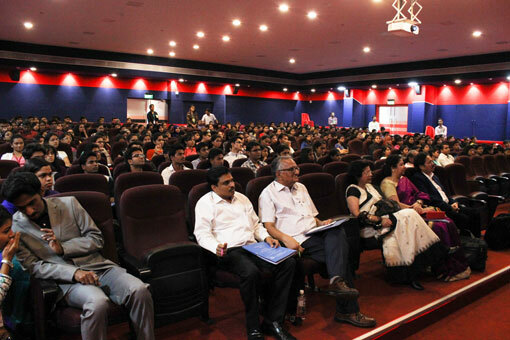 The students and faculty members were very interactive throughout the lectures. The seminar received a good feedback form the audience. Overall, the seminar was very encouraging and was well appreciated by the guests, students and faculty members. 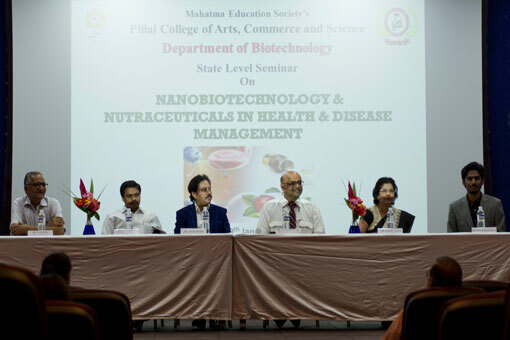 The Department of Biotechnology and Biotechnology Association of Pillai College of Arts, Commerce and Science (PCACS), New Panvel, organized a State Level Seminar on “Nanobiotechnology and Nutraceuticals in Health and Disease Management” on 19th January, 2016 (Tuesday). Three hundred participants comprising students & faculty members from different colleges including PCACS participated in the seminar. The distinguished guests formally inaugurated the event at 10.30 am by lighting the lamp. 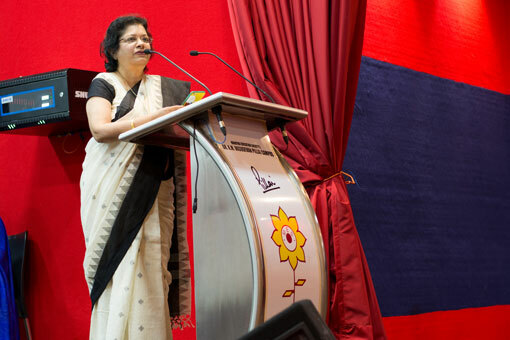 Dr. Daphne Pillai, Principal, PCACS welcomed the gathering. 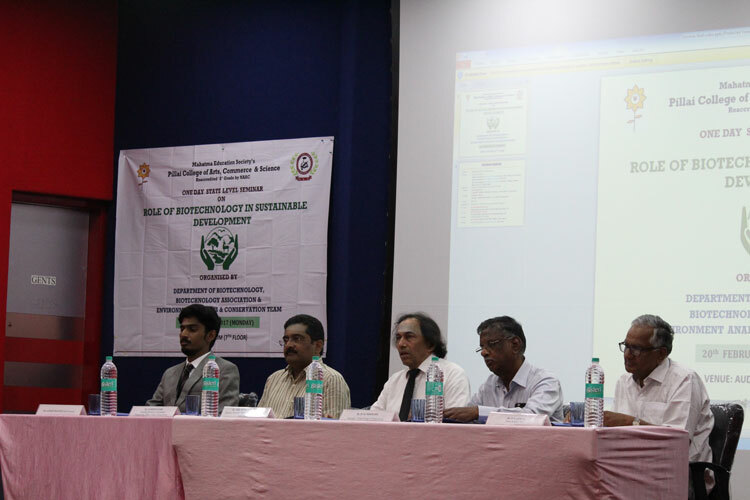 Opening remarks were given by Prof. Gopakumar Pillai, Convener of the Seminar. 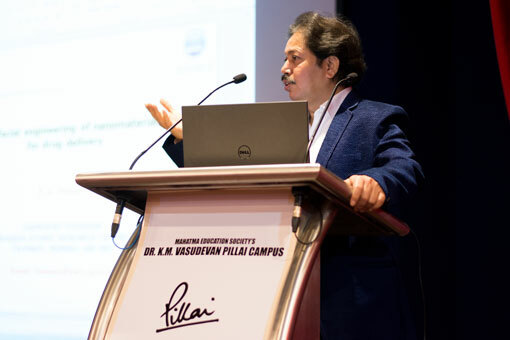 Chief Guest, Dr. Jayesh Bellare, Professor - Chemical Engineering, School of Biosciences & Bioengineering, IIT, Powai delivered the keynote address “Amazing Nanotechnology and its applications in health care and more...” In his converse, he explained the importance of Nanotechnology and its applications in health care. His lecture was very interesting, informative and motivating. 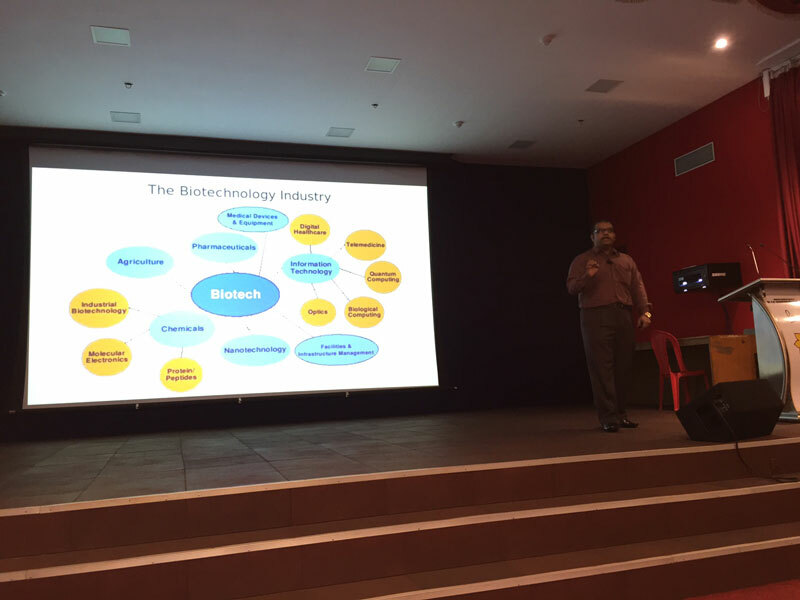 The technical session on Nanobiotechnology started at 11.45 am by Dr. Absar Ahmad, Senior Principal Scientist, NCL, Pune. 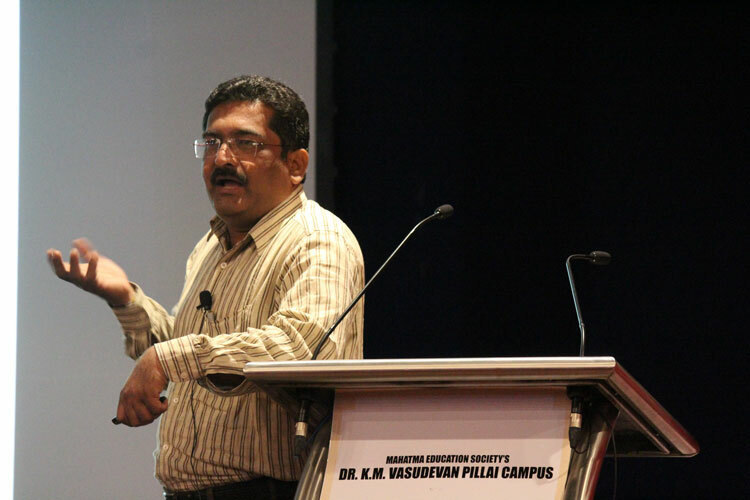 He delivered the lecture on “Green synthesis of inorganic nanomaterials and their various applications”. 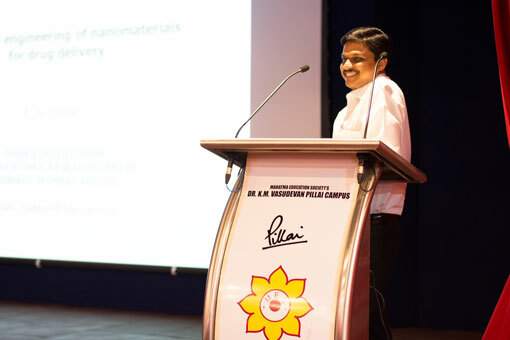 He described the synthesis of various nanomaterials which has applications in healthcare. 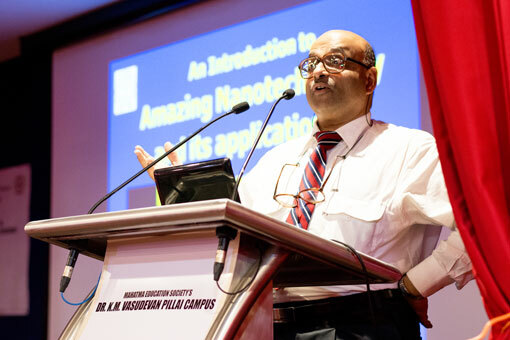 The second speaker of the session Dr. P. A. Hassan, Scientific Officer H & Head, Thermal & Interfacial Chemistry Section, Chemistry Division, BARC, gave the lecture on “Interfacial engineering of nanomaterials for drug delivery”. In his talk, he discussed microstructure and drug delivery aspects of various materials created via self-assembly in designing stimuli sensitive drug delivery systems. The technical session on Nutraceuticals began at 2.15 pm following lunch. The session commenced with the lecture of Dr. Rekha Singhal, Professor - Department of Food Engineering & Technology, Dean - Research, Consultancy and Resource Mobilization, ICT, Mumbai. 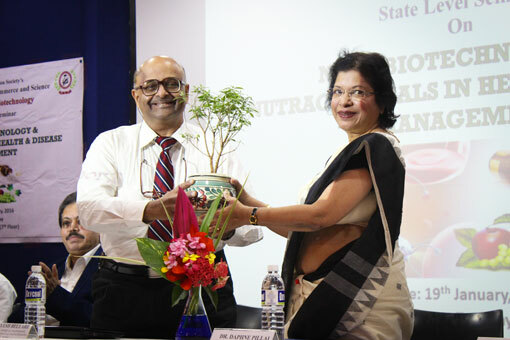 She gave a lecture on “Nutraceuticals for joint health”. The lecture covered the basic reasons and types of disorders associated with joints, the conventional treatments and their limitations, and the nutraceuticals that have been investigated along with their relevant clinical studies reported across the world. The second speaker for session on Nutraceuticals was Dr. Mukesh Nandave, Associate Professor of Pharmacology Department form NMIMS, Mumbai. 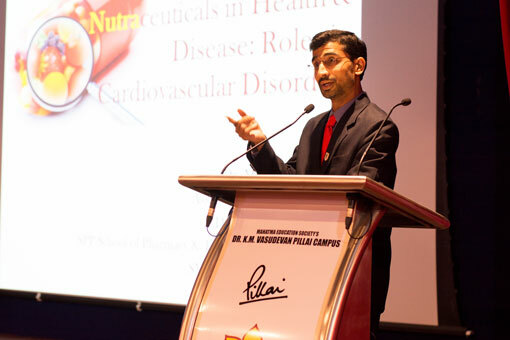 His lecture was on “Nutraceuticals in Health and Disease with Special Emphasis on their Roles in Cardiovascular Diseases”. He discussed the differences and similarities in pharmaceuticals and nutraceuticals, their market place as well as roles in treatment and management of CVD. 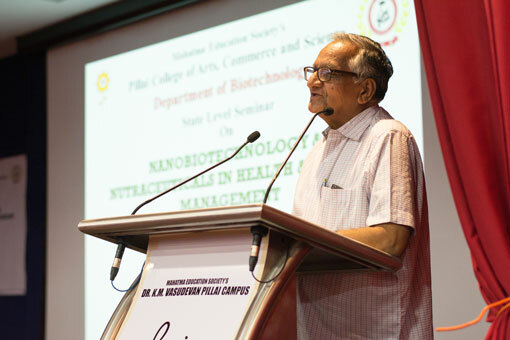 The Valedictory session was held at 4 pm where, Dr. P. S. Goyal, Dean – R & D, PIIT gave the concluding remarks emphasizing on the potential of Nanobiotechnology and Nutraceuticals in developing an effective healthcare. The seminar ended with distribution of certificates by Dr. Rekha Singhal, Dr. Daphne Pillai & Dr. P. S. Goyal followed by Vote of thanks by the Convener, Prof. Gopakumar Pillai. 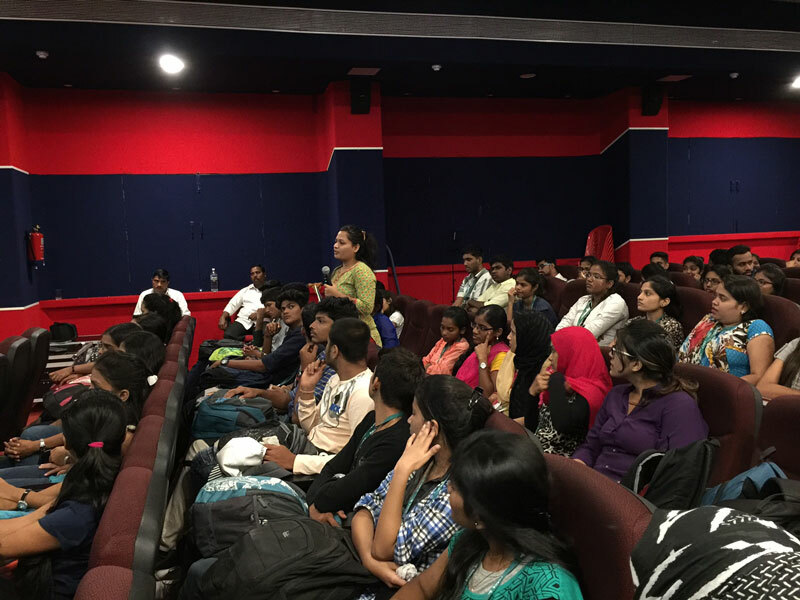 The students and faculty members were very interactive throughout the lectures. The seminar received a good feedback form the audience. Overall the seminar was very encouraging and was well appreciated by the guests, students and faculty members. 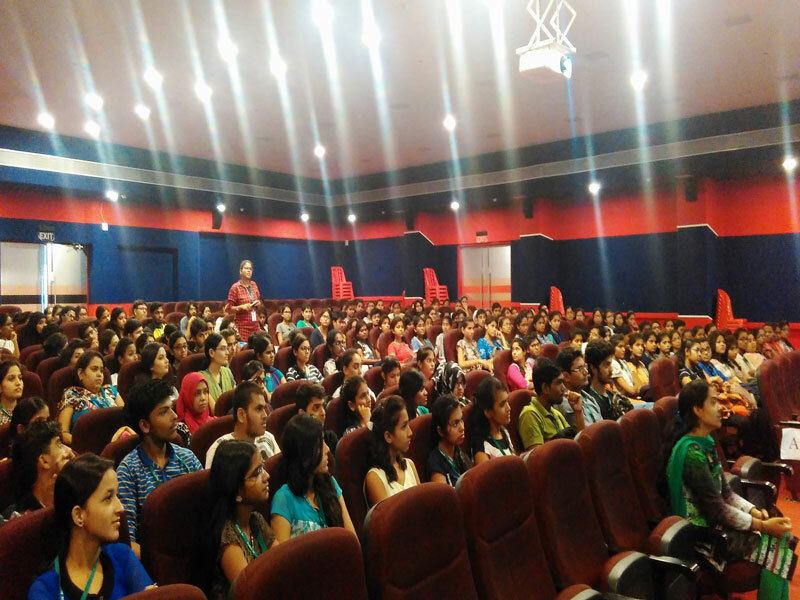 The placement cell had conducted a campus drive for T.Y.B.Sc. 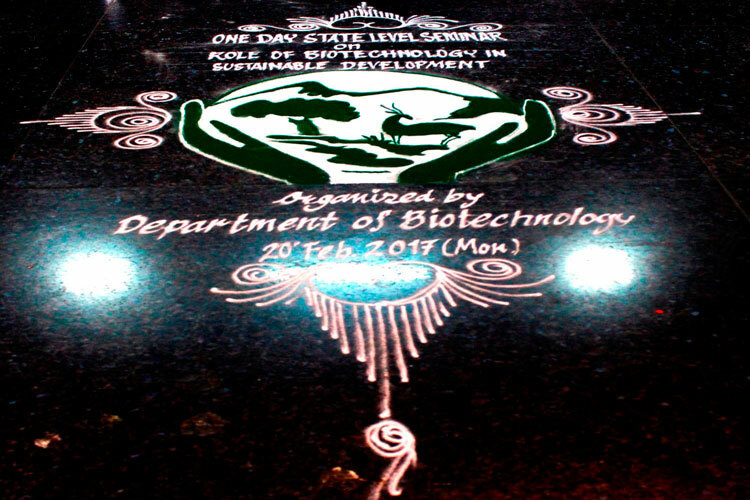 Biotechnology course on 12th January, 2017. Lilac Insights is India's leading provider of evidence based genetic services with a special focus in the area of Maternal and Fetal Health, Newborn Health and Oncology. 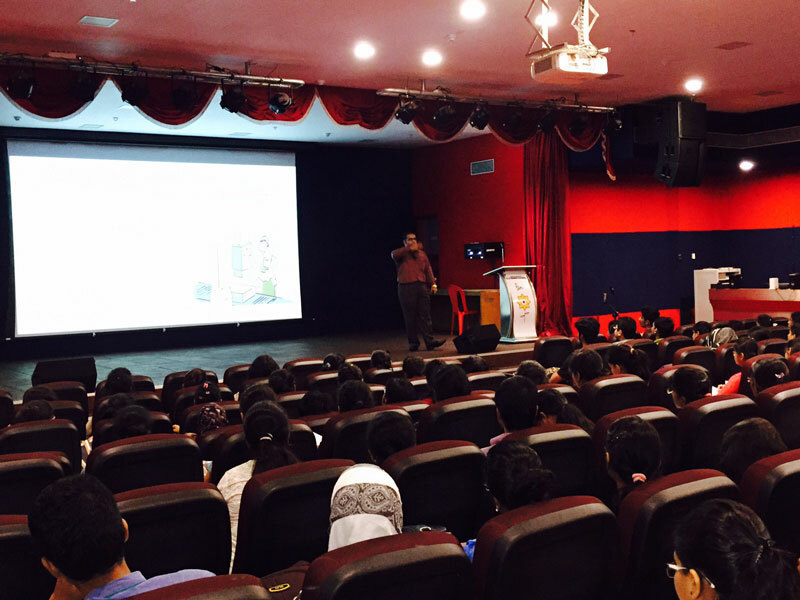 The Biotechnology Placement Cell conducted a career guidance lecture on 16th August 2016 for B.Sc and M.Sc Biotechnology students in 7th Floor Auditorium. 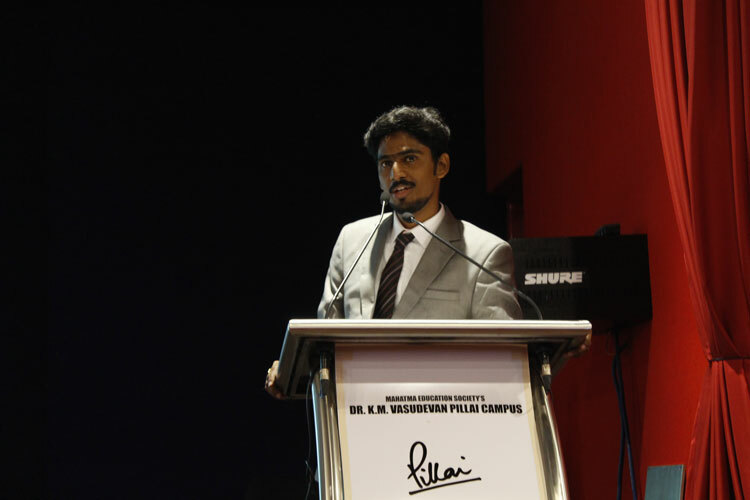 Mr. Abhilash Das, an Alumnus of the college who is working as a Senior Production Executive in Reliance Life Sciences was the resource person. 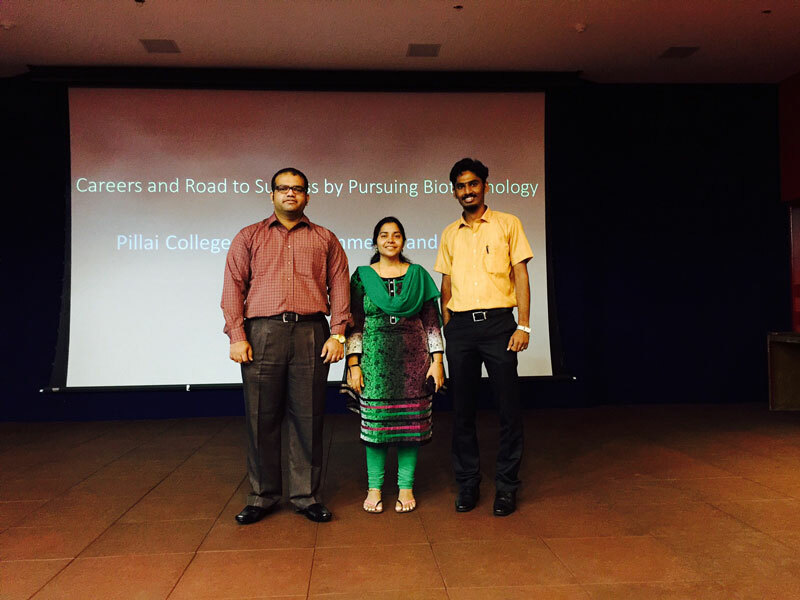 Prof. Padmaja Ghanti, Head of PCACS Placement Cell & Prof. Gopakumar Pillai, Biotech Placement in charge welcomed and introduced the guest. 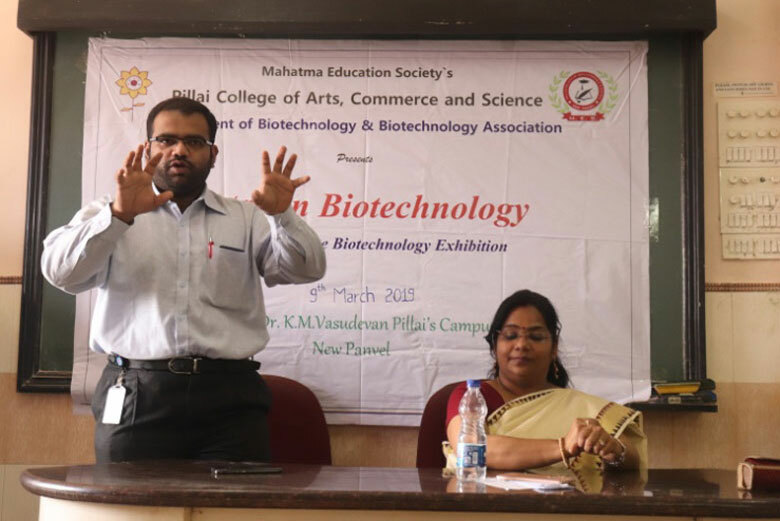 Mr. Abhilash Das explained the students about ways to develop industry relevant skills and knowledge and motivated them to explore different avenues in the field of Biotechnology. He shared his experience in the area of Research and Production and also discussed about job prospects in Reliance Life Sciences and other companies he has worked earlier. 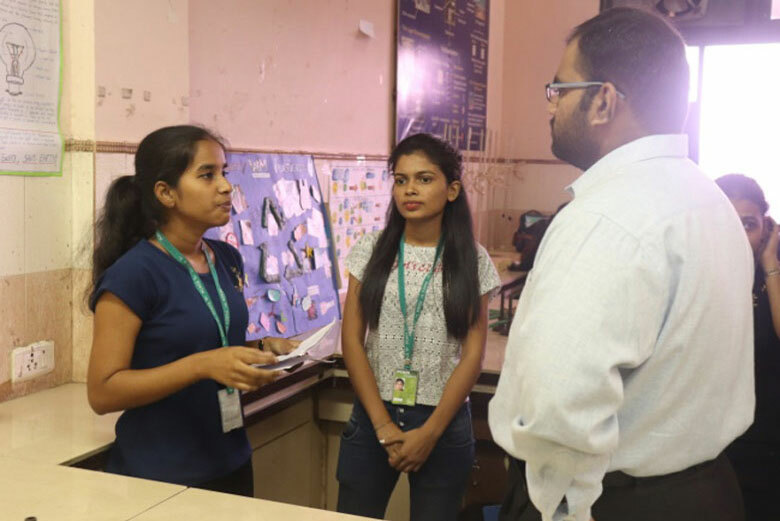 He enlightened and guided the students in various career aspects where the students can aspire and initiate their career. The presentation and interaction of the speaker was very effective, wherein he showed many related visuals. 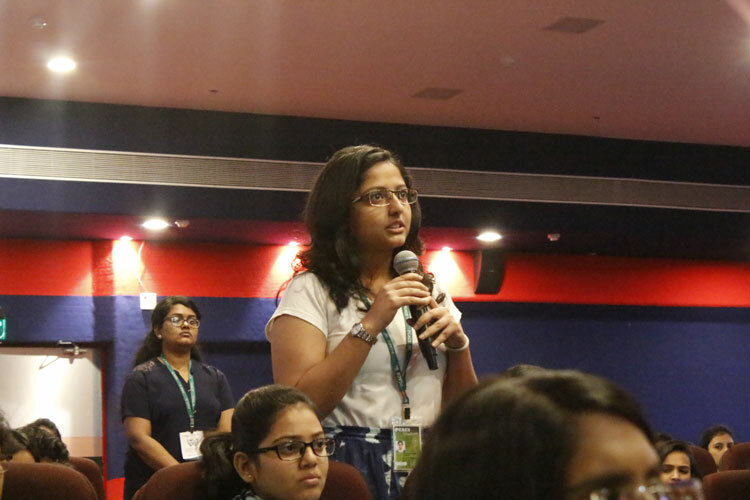 The students interacted enthusiastically and the resource person answered their queries and cleared their doubts. The session came to an end with a vote of thanks by Prof. Gopakumar Pillai and the student representative, Ms. Reema Shrivastava. 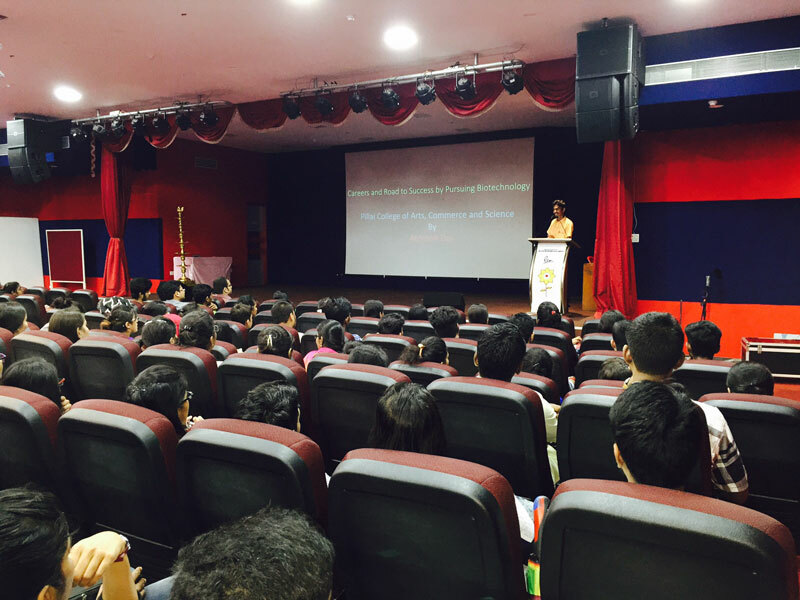 Overall, the lecture was very informative and encouraging and was well perceived by the students.